Orphans With Make Up turned something glum into something glam! The before of this kitchen will have your jaw not just drop, but fall crashing to the floor. 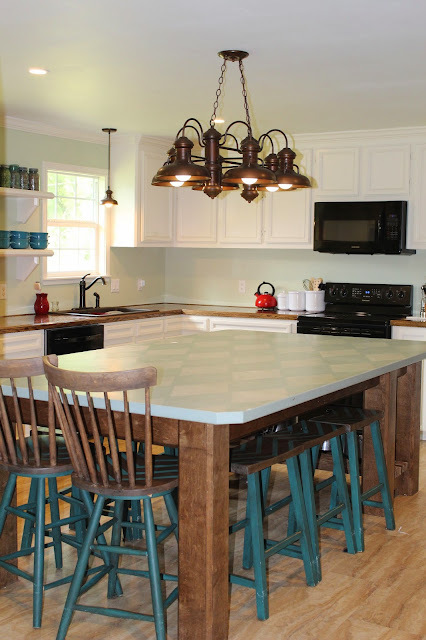 Check out Backwood's Babies incredible kitchen before and afters. Hi Kammy, thank you for Trash 2 Treasure no. 72. Love joining in. Have a great week. Thanks for featuring my kitchen before and afters Kammy. Thanks for hosting the awesome Trash to Treasure Tuesday. Thank you so much Kammy for featuring my console table. Much appreciated. Have a nice day. Fabulous features Kammy! Thanks for the party, and have a great day!